Building a bomb shelter to survive the nuclear apocalypse works fine for humans, but what about your Xbox 360? 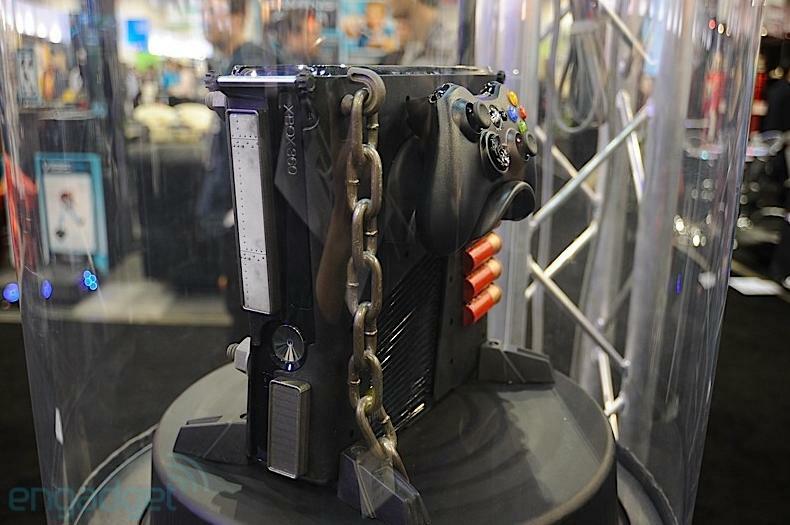 A new series of cases seen at CES 2011 are possibly the most protection money can buy for an Xbox 360. 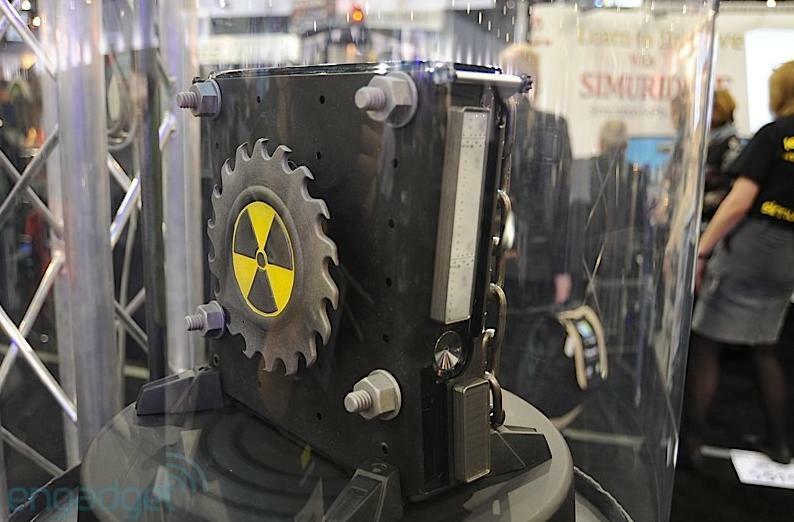 Calibur11's Vault case mods snap on to the outside of the console, allowing it to breathe toxic fumes, survive nuclear blasts, and even give it a few armaments for defense. 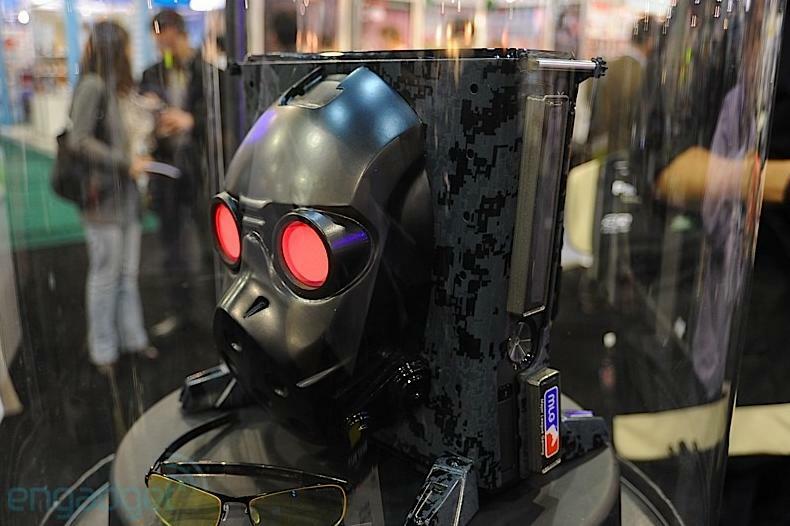 Engadget got some good snaps of the case mods on display at CES, which include everything from a gas mask to a buzz saw blade. Calibur11 says the mods are for more than show. Each piece you see is interchangeable and designed to help protect the Xbox 360 from damage, add stability, or increase airflow. Even that chain. 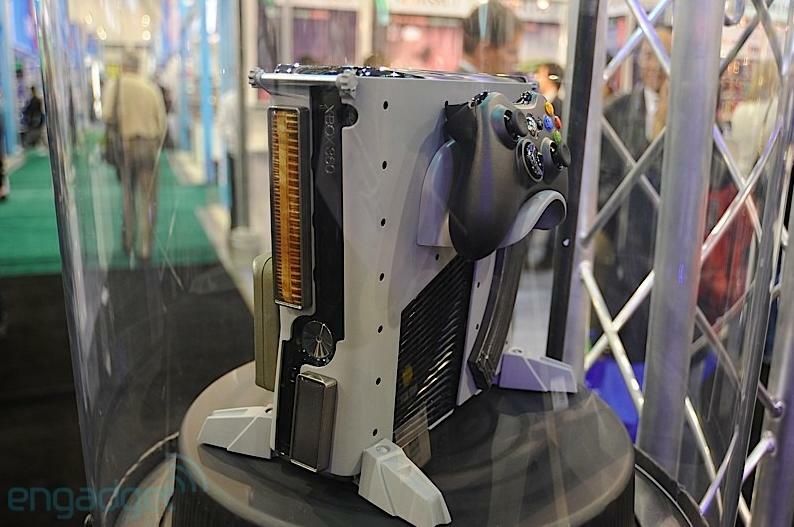 The parts consist of various body panels, plaques that go over the DVD drive, a chassis, case spacers, plugs, and even a holster to sit a game controller right on the Xbox 360. Calibur11 has also included LED lighting in certain pieces to pimp them out even further. It's safe to say that if you can't get your hands on a 24k gold Xbox, you might as well go for one that can help you kill raiders after the world ends. Calibur11's Vault accessories and case mod combos will be available at major retailers in March 2011.